I will fully admit to being a voracious reader. I cannot remember a time in my life when I have not had a book or three waiting to be read. Whatever my parents (and the Scholastic Reading Club pizza prizes) did to encourage reading, it worked well for me! 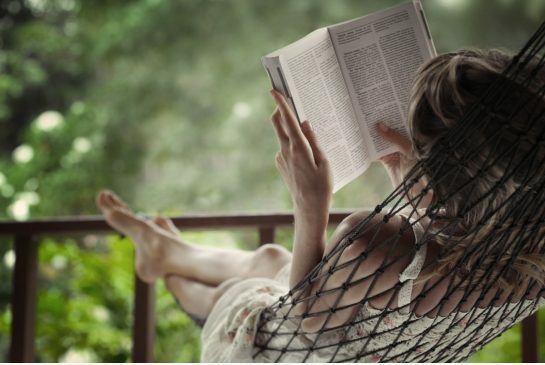 And as the picture above indicates, relaxing with a book in hand is one of my top indulgences. Growing up, I personally never felt like a writer. I thought handwriting anything and cursive was for the birds. I learned to do it to keep from failing (OK, yes, I worked hard to perfect my cursive and get a top grade), but as soon as teachers didn’t care or grade on it anymore, I quickly went back to writing in print. My father, an engineer, always wrote in neat print and I wanted so badly to copy that. I learned to dutifully write thank you notes and send greeting cards to extended family members… but I was ecstatic when I learned to type on a manual typewriter in high school. The keyboard is my writing medium of choice. Changing from manual typewriter to computer keyboard and from hand-written notes to email seemed effortless to me. Enter (what I have in my own mind dubbed) the post-Twitter universe. I have found recently that I am struggling to bridge communication gaps with… well, pretty much everyone. I am coming to realize that I need to adapt my methods because it seems that reading comprehension is dropping off at an alarming rate. At first I thought I was just being paranoid. The person who wrote back to my email that contained 4 questions without answering a single one of them must be having an off day. As more and more “off-days” piled up from more and more people and the mis-communications were leading to hurt feelings, wrong fabric being ordered, or other money mis-expenditures, I realized that something else was afoot. Anne @play crafts linked to an article by the Washington Post called Exhaustion is not a status symbol last week that really forced me to think more about my difficulties in email communication recently. There are many points to glean from the article, but it made me wonder if the constant distractions and stimulus that we are living under is not just wreaking havoc on our creativity, but our ability to focus enough to read and comprehend an email. One of the first lines of study I recall reading about regarding online reading was related to tracking eye movement. I remember an article that discusses how fast the eyes dart around a webpage and how very non-linearly our eyes scan a webpage, which when compared to normal book reading, shows that the eye movement of an internet browser is much different. When I approach an internet research topic like this, I definitely start by doing a lot of page skimming. I skim my search engine results to help me select which articles to even open in a browser. Then I quick scan the article to see if it seems to really be on the key topic I am interested in. But when I commit myself to reading the article, I do find that I still have a tendency to feel rushed every time I scroll down the page. I have to remind myself not to jump head when I am reading on a computer screen. That disruption in my reading process probably limits my cognitive reasoning and understanding of what I am reading. I am constantly being “bounced out” of my train of thought and reminding myself to step back in. There is definitely some good news in all of this: there are segments of people who outperform when reading on digital devices. I can attest that my young niece is going to have mad skills in digital media that I will probably lack for the rest of my life. Watching an 18-month-old operate an iPad more efficiently than I can is a humbling experience. Now that this has been identified, new and teachable skills are ready to be taught and implemented as well. I do not always follow the rules of thumb above; sometimes a conversation requires a longer response. However, I have found that when I have a strong need for a response to a specific question, if I follow the loosely outlined thoughts above, I have a much higher likelihood of success. Have you experienced anything similar to my online communication blunders? Have you developed any skills or methods or rules of thumb to help effectively communicate in our current technological environment? Very interesting topic! I do a lot of reading online: grading my students’ essays and such. I only started working online this year, previous years I had them submit printed essays also. ( online submission for checking on plagiarism) I find that reading on a computerscreen takes more concentration, but I don’t misplace any essays /reports. i am handed sooooo many. I found your tips on email communication helpful. I tend to be longwinded in an effort to be very precise. Should not do that any more! If longer communication is working for you, then I don’t think you need to change. I have just noticed that I don’t get responses or all the required responses needed when I write long emails anymore. I think you are right about it being a little chicken-egg. I personally also have an ereader and use it at night to relax before bed. It works well for me in that capacity. I don’t want to come off as anti-technology; but I do need to figure out how to effectively work with the shifting mediums. I have always been someone who had a hard time staying focused, I’m guessing in today’s world I would be labeled ADD, but they didn’t do that when I was a kid. But the only time I focused well was when I was reading, and to this day that is when I have the longest times of concentration. I have moved to an e-reader, and I think I still concentrate on it better than anything else. But I know that I tend to skim, emails, web pages, and blogs. This was a very interesting read, and I didn’t skim it. I also have an e-reader, Shauna, and it works well for me for what I use it for (relaxing prior to bed). I am quite guilty of skimming web pages and need to focus my attention in order to really have a good online reading experience. I guess knowing that is half the battle, right? Such an interesting post, Yvonne! I definitely notice the tendency to skim when reading online, and I much prefer an actual book if I’m reading a novel. I’ve never really thought about the “deep reading,” or wondered much about comprehension of online texts, but you’ve given me a lot to think about. I’m not using email for business anymore but I did experience your frustration when I was working. After learning that further email exchange really didn’t solve the problem, I would pick up the phone if I thought things were going ‘sideways’ in an email exchange. Very good point about picking up the phone to call if an email is getting off track. As I have mentioned before, my husband and I are still a bit stuck in pre-smart phone cell phone technology land (we bought awesome phones and the batteries stay charged for a week; we don’t see a need to pay money to upgrade when a lot of it will feel like a downgrade, but I digress). My husband invited a co-worker to our home for dinner this past week, and he gave the co-worker his cell phone number. The co-worker then said he would text when he was coming over. My husband reminded him that his phone does not get texts. So the co-worker said, but it get’s email, right? My husband said that he looked scared at the thought of having to call when it finally sunk in. Interesting points here. I find myself getting distracted by the sidebar and other open tabs when I’m reading so I can see how comprehension would be down. I definitely prefer reading books on paper. Tablets and phones have changed things too. I regularly read emails on my tablet but don’t reply to them there. I star them so I don’t forget to reply when I’m back on the laptop with a keyboard. I’ve taken to NOT reading blog posts on the tablet because the chances of me going back and commenting are slim. I know how much comments rock so I try to comment on everything online I read. Good point about a difference between a computer screen and a tablet and phone; I think the smaller the device, the easier it is to get distracted (or at least that is how it seems to work for me). I experience this kind of miscommunication in non-digital formats as well and think that there is something to the distraction factor. It’s amazing to me how hard it can be for people to simpley respond. Then I look at all that’s going on. and I can see that there’s a definite disconnect. It’s becoming more normal to be in a room with people visiting while they’re interacting with electronic devices. And look at me heading in a different direction–almost off topic. In my own reading I find I enjoy printed much more than electronic. There is a sense of I’ve got to hurry–before someone else needs the computer, or me, or we’ve got to go. There’s also the option to look at other things. There’s more of my body involved in reading when I’m using a book. It is more encompassing and for me more relaxing than reading on an e-reader or my computer. Thanks for this thoughtful post. I made myself slow down some while reading, but it’s kind of tough. Yes, the need to be constantly online means that people seem to be less engaged in any social activity and never fully present online, either. It is a tough balance, and learning to work around that split and still have effective communication seems pretty hard sometimes. And I totally agree that more of my body is involved in reading with a physical book; great point. I definitely skim online. To be honest I skimmed some points in your post – like where it says “so-and-so of some place did this stuff and had some research”. I usually gloss over those lines to get the part about what the research was because at the end of the day I don’t care who that person was or where they’re from or where they did it as it’s not really pertinent information for me (I just want to know the outcome!). With the swap I’m running on IG at the moment, it’s become obvious that people don’t read all the info provided. In the actual signup survey I asked for a mailing address, specifying “including country”. Too many people did not include their country so when people also say they want to ship domestic, then I have no idea where shipping domestically is because I don’t know what country they’re in! If I ever do a swap again, next time, I now know to add a completely separate question asking for “country of mailing address” that needs to be filled out just so it isn’t missed at all expecting people to do it themselves. Hopefully no one from the UK or Canada or anyone else left off their country because neither my US partner in crime who helped me figure out the US addresses, nor I, would know if another country had been left off. Frankly, I don’t even know why countries are left off anyway, since you may want to ship domestic, but someone may ship to you from another country- therefore they need that info! As an example, if I left my country off my address, it would read [street], [suburb], [postal code], WA. If you didn’t know what country I lived in, where would you assume it was going? Including all information matters because you should never assume someone else’s address! I think there will always be though “troublemakers” who don’t fully read things, and at the end of the day you can’t blame yourself with “I should have done x,y,z” because there will always be that one person. Even if you constantly change your methods, you risk losing someone else who understood you before. Reading through the other responses, the one below mine caught my attention about turning off notifications to reduce distractions. If I’m reading online and have to concentrate, I have to actually turn off music and try and have a quiet area to concentrate in. While reading a book though, I’d often have music playing as well. Also the discussions about sidebars and busy layouts. I am fan of minimalistic layouts and that’s why I prefer having a plain white/grey/black layout for my blog and I try to put as little as possible into my sidebar. I want people to concentrate on my posts, not get sidetracked by fancy colours and flashing lights off to the side! I also get sidetracked when centre formatting is used for text as I find that hard to read yet I’ve come across a number of blogs that do it for all their posts! I tend to jump around to just reading the shortest lines because it’s easier for my eye movement to “flow” with the words rather than jumping around side to side trying to find where the next line starts. I spent a few years teaching theatre design at a college level, and I have often wondered at the difference between my experience as a young designer (about a decade ago) and that of my students. I would get a paper script and mark it up almost beyond recognition, but they read on a computer or tablet making few, if any, notes. The idea that printing a script was “wasteful” ended with designers who often weren’t able to really dissect and interpret what they were reading. If I’m reading something particularly important on an electronic device I have to turn off all notifications and read in a program that allows me to easily highlight and make notes. If there is a difference between your experience and that of your students, just think what it must be like for the aging workforce near retirement. They must be so baffled by us, and I am trying to figure how how to be “relevant” as I age! It’s definitely a generational thing. If you are amazed at an 18-month old using an iPad, just think how a senior citizen like me feels! I have always been a reader too (a notorious skimmer), but now I find myself getting impatient with books that don’t have faster pacing and long online articles. Something is lost when a reader gets too impatient to dive deeply into a story or follow a complex thought process. In engineering school I had to discipline myself to read with comprehension, and stop to digest the important stuff. Some reading material deserves this; much online stuff does not. I fear the trend will only get worse. Soon if it can’t fit in a tweet, it will be ignored. The amount of technological changes that you have seen and learned in your lifetime is really amazing to think about, Vicki. I think it is interesting that you are drawn to faster paced books; you have obviously adapted and been quite mentally flexible throughout all the changes. I don’t know that the emails are ignored precisely, but if a long email is received and the perception is there isn’t time to read it fully or respond to it well enough, then it is definitely avoided / pushed until (indefinitely) later. I’m glad you brought up the fact that some people do better in digital formats. I have a friend who is dyslexic. She uses a digital reader with the text in one column. She says that it is much easier for her to concentrate and read having only one page. I agree that headers and sidebars can be distracting, so I find myself zooming in on my iPad to cut them off. The interesting thing is that I find myself using and enjoying the digital format more. I am more likely to do something if I can do it on my iPad. If I have to pull out the computer I am less likely to do it. I love the convenience and portability of my iPad. I don’t think it has affected my comprehension, but growing up in a large family I had to really learn to focus. It is definitely a skill to learn, and good to be aware of how others react to the same format. I am not anti-technology at all; the fact that the new formats are so beneficial for people are one of the awesome benefits. I’m just trying to figure out how to have a “conversation” with some people now. When I suggest I call them, they get freaked out. Weird how things shift and change! I think that the ability to focus, as you mention, is a huge part of all of this. And the fact that the iPad is portable has been beneficial for me, too. I was able to stay “connected” while traveling to QuiltCon because I had my iPad with me, which was pretty cool. In my book club there are often discussions about e-readers vs. books. Many of my friends prefer books. What I like about e-readers is the fact that I can be reading several books at once and when traveling, I can just take one device. I also live in a small town and really like the instant gratification of buying a book that sounds interesting immediately. However, I find the fact that I can’t go back and find the parts I liked or wanted to remember as easily (even though they can be bookmarked) or that I don’t know how much book there is a little annoying. With that I will still say that overall the e-reader is my choice. I do see the concerns about not doing deep reading online. There are so many distractions. I still feel that I cannot edit as well on the computer screen – it’s more difficult to find my mistakes. Great discussion topic, and super food for thought. I have an e-reader that I love, too (I have all but stopped reading books). 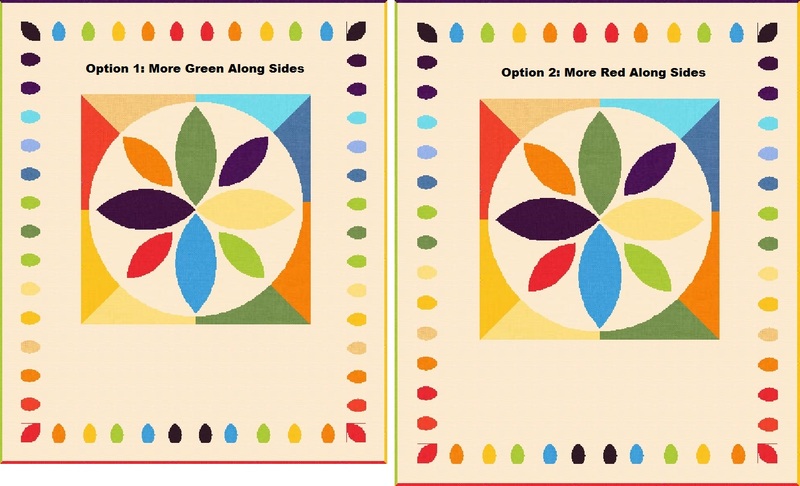 You bring up another great point about editing; I will make quilt patterns and edit them on the screen, but I always find more and feel like I do a better job when I print them out to edit! Excellent post. (And I had to laugh when you mentioned your phone in one of your comments. My phone is 11+ years old. It does get texts, though it can’t take pictures, which I have to say would be a wonderful reason to upgrade.) I agree with so much of what you said. I have often found that communication by email is difficult even though I can’t imagine being without it. I’ve sometimes resorted to a quick series of emails or texts (or facebook PMs, which seem to get a bit better response) with one question each in order to get them all answered, although that is not really a satisfactory way to communicate. And I tend to be a wordy person so it’s excruciating for me to edit down what I really want to say or ask. I think the problem is the worst when the other person is reading on a phone and just quickly checking messages. I get a quick (incomplete) response, but then the other person thinks s/he is all set, moves on, and it’s out of mind. Thanks for sharing your solutions. I will keep them in mind for the next time I have more than a simple question to ask someone, especially as it relates to quilt planning. As a side note, reading screens gets more “interesting” as you (well, I) age and vision issues intensify. I think that might also affect concentration and comprehension, at least in my case. I appreciate your last line “not said in a snarky way”! I don’t even mean this post to be negative; I am amazed by technology and how much more is possible today than even 5 years ago. Trying to navigate the waters of good form and maintaining honest conversations, like this, without being snarky and maintaining a friendly conversation is something worth giving though to (I think)! I have definitely learned to number questions and to make them as short and simple as possible! I try to keep all correspondence with customers as brief as possible and try to limit one question per email, unless I need the information right away. I skim a lot on blogs, there are so many to read and comment on I find that skimming for the key content and then commenting on them and the photos is enough…but that is still time consuming and not very fulfilling, so mostly I just stick to the top like…10 blogs I enjoy, actually read through them and try to comment with more thought. 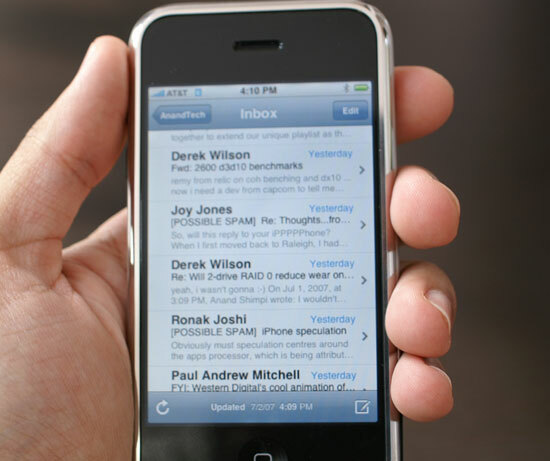 One question per email is another great and simple rule of thumb. My problem is I think that I have one question, but then I get excited and tend to think “what if” and can get carried away when I sit down to write the email. But I am definitely learning! I think that blog reading is almost a whole separate category. I definitely find myself skimming sometimes and I try to force myself to walk away and come back when I feel like I have more time when that starts to happen. I have definitely found that bloggers who include lots of other information in a post is hard for me to follow, and I will stop following them after a while if it is a really consistent and persistent theme. Occasionally? Sure thing, it’s actually cool to get a glimpse of real life here and there. Persistently? I probably can’t handle it. Oh and I think I skim a lot on blogs because so many bloggers include information that isn’t relevant to their blog post, their thoughts are unorganized, they ramble on, there’s too much in one post, etc etc. I really can’t focus on so many topics, unrelated photos and who’s screaming at who in the next room about what. Skim, key words, note interesting things on photos, comment…leave, never come back, hhahaha. Another interesting, thought-provoking post, Yvonne! I definitely feel that the “competition” for my time (i.e., the other possible articles I could be reading) is the biggest distraction that I have when reading blog posts. I have such limited time to read, and comment, and write my own blog posts as it is, that I have a constant nagging — no matter what I am doing — that my time could be better spent elsewhere. I agree with Renee, in that I find skimming, keywords and — i will add — responding to an overall blog aesthetic that pleases me, to be how I currently operate. I am not sure if that will change once my kids get bigger and I have more than two minutes at a clip to read something, or if I am training myself to always be a skimmer. But I do feel there is something lost when we read with a constant fear that we could be doing better. This was really interesting! Thanks for sharing it! Thank you for your honest insight into your world, too. Everyone is at a difference place in their lives and there is a lot there for me/us to be mindful about! I am most definitely guilty of skimming over when reading online … I think it comes from a point in history where all digital starting form Morse code ( … which isn’t really digital), to telegrams and text messages, were all forms of short sharp communication – get to the point – kind of stuff. Where as books, newspapers and documents are traditionally on paper and are traditionally a source of long winded information. So one, digital, has taught us from the beginning to pay less attention (or gets to the point quickly so we expect a quick injection of information) and the other, printed – hard copy documents, has trained us to pay more attention so that we soak in the information from thorough reading. Also most of us have learned to read from books, not the computer screen, I’m sure there is a study out there that shows that we will take in more information from the medium that we learned to read from (similar to your example). I’ll always view online/digital media as a quick form of communication … just through learnt habit. Maybe that’s why a lot of people are turning to the instant gratification of IG instead of reading long winded blog posts? But then if everyone did that, where would all of the fabulous tutorials and process informaion go? Really interesting post. Although I do feel like I spend quite a bit of time at the screen, keeping up to date with blogs as well as writing mine and other non bloggy stuff, I am in fact quite a techno-phobe. I don’t even have a mobile phone let alone a tablet/ipad of any kind! Sometimes I think life would be easier if I embraced these devices a little more, then I see parents sitting at a bench in the park catching up on Facebook or texts or whatever rather than interacting with their children, and I’m very glad I’m not mobilely connected. But despite my limited usage, I definitely recognise lots of these traits you’ve highlighted in myself. I’ll be more aware now, thank you! This was a really intriguing read and it is leaving me with lots of thoughts and things to think about. I do have trouble with the technology end of things when it comes to ‘phones’ and the Facebook deal. I have one along with an Instagram, but I will never go onto Twitter as I don’t find much use of it other than being another hyped up Instagram to say the least. While I love and understand variety, I find it irrational to have so many sources of communication. I only just started coming out of my shell on Instagram and feeling like I am “overgramming” or “people must be getting sick of seeing my stuff” in the past year. I was proven wrong as the more I am around, the more and more comes along. I see it happening for you Yvonne! Thanks, Megan. I know what you mean about having so many platforms and social media outlets to choose from. I guess right now I see each as providing something different. Although, to be fair, I don’t really have a clue what Twitter is for. 😉 Finding a balance between my blog and IG seems to be my current train of thought.